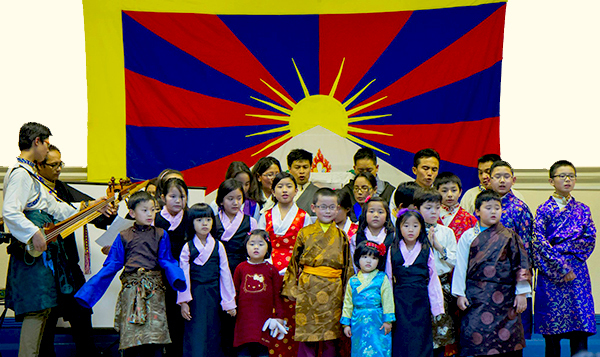 Formed in 1995, the Tibetan Community Dance Group is the cultural wing of Tibetan Community in Britain. Our main aim is to preserve and promote the unique artistic heritage of Tibet through performing arts in the UK and beyond. We endeavour to learn from masters of music, dance and theatrical traditions of Tibet, a variety of folk dances, songs, court and ceremonial dances. We also aim to introduce the richness of the Tibetan artistic culture to people throughout the world, so that others can enjoy and appreciate some of the music, songs and dances of Tibet . The Tibetan Institute of Performing Arts (TIPA) is one of the first few pioneering cultural institutes, established by His Holiness the Dalai Lama, to promote and preserve the unique and rich cultural heritage of Tibet. 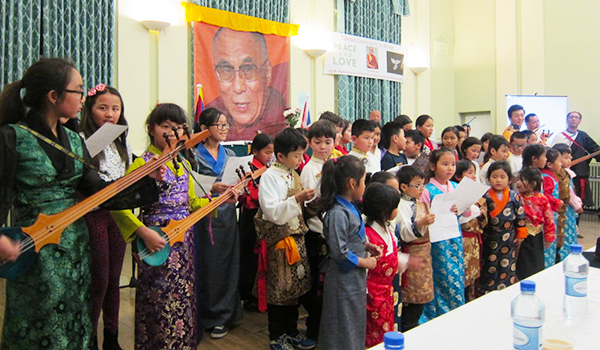 At the early stages, Mr Phuntsok Tsering, a former member of the TIPA from Dharamsala, taught Tibetan songs, dances and music to our founding members. Today, our senior performing artists continue to perform and impart the artistic knowledge to the younger generations. Rehearsals are conducted at weekends, which enable the meeting of community members. We regularly perform during our annual community events in March, July and December. In addition, we attend special invitations! In 2015, we have interesting shows lined up! Photo caption: Community members taking part during a cultural event in 2014.